On hot summer day there is nothing like a homemade ice pop to cool you off. Take that idea to the next level with a Raspberry Peach Prosecco Pop. Yes, you heard me correctly. You can make boozy ice pops with just a few simple ingredients that are guaranteed to add some sparkle to your day! 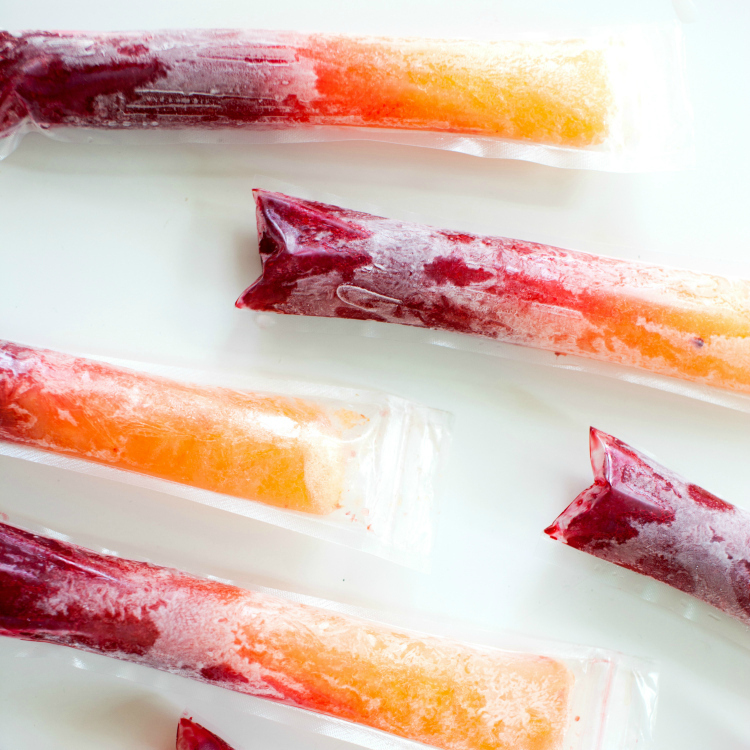 Whether you enjoy them to unwind after a busy day or serve them at your next celebration, these Prosecco ice pops are a fun addition to your freezer. Sparkling Ice sent me this awesome alcoholic ice pops recipe which of course incorporates their product. I have blogged about Sparkling Ice before at my other blog and made both a sparkling holiday cocktail and a homemade fruit cup. This post however is not sponsored, just something I thought would be fun to share with you. I can’t wait to try them myself. This recipe incorporates two separate flavors so you’ll need a few extra ingredients. To make this Prosecco pop you need four ingredients per flavor and that is frozen fruit, Sparkling Ice, Prosecco and a little sugar. 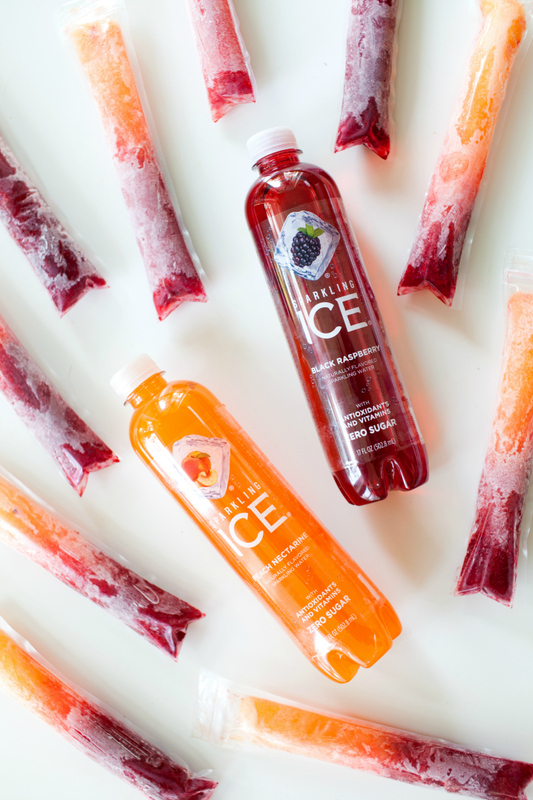 You can get as creative as you want with flavors simply by switching out your favorite fruits and Sparkling Ice varieties. You’ll also need silicone or disposable ice pop molds. I like to get mine from Amazon. I’m thinking frozen mango mixed with Sparkling Ice Orange Mango and frozen pineapple with Sparkling Ice Coconut Pineapple would be a killer tropical ice pop combination. Don’t you think? 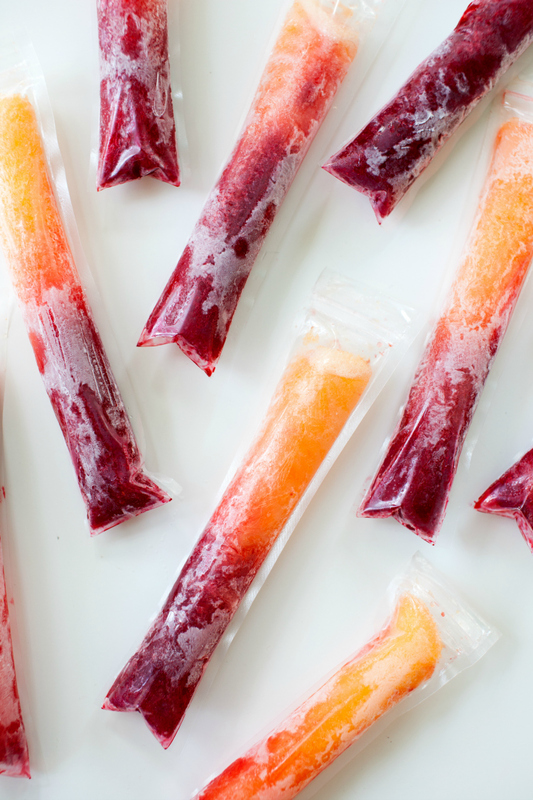 What ice pop combos would you try? Where did you find the molds?